The developmental markers get really exciting as the weeks pass by. The new born baby is growing fast and you also get familiar with the baby’s activities. By now you know how to feed the baby, when to feed, how to take care of his sleep and other requirements. Like the previous milestones, these milestones enlist important markers which signify the baby’s timely growth between the age of 4 months to 7 months. 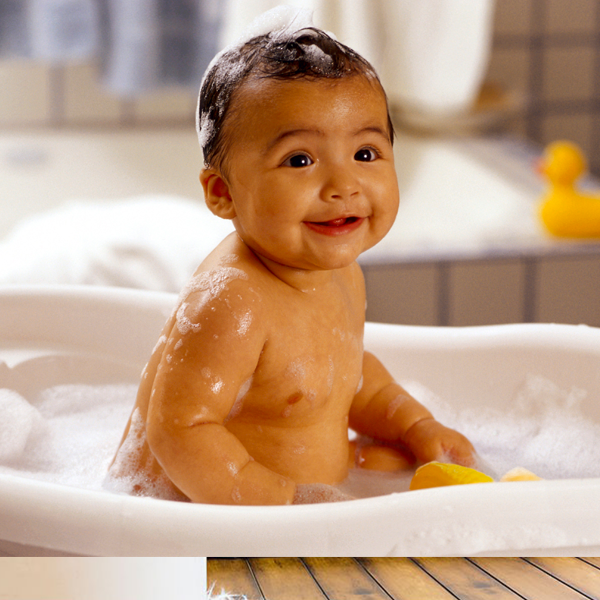 The various baby development milestones include physical, social, and cognitive growth achievements of the baby. In terms of the physical attributes, the baby develops his full coloured vision. By the 4th month, the baby can identify the subtle difference between the various shades. You will realise that the baby tends to get attracted towards bright red and blue shades and enjoys seeing colourful toys and magazines. As soon as you switch on the TV, the baby will look at it fixedly. By the third month the baby had started recognizing familiar voices and faces. The baby’s visual and cognitive abilities are building simultaneously. You’d observe that the baby gradually starts identifying faces and voices. You can know this for sure as the baby will start responding to his own name. You can help him develop his recall ability by repeating common names of people and objects that the baby encounters frequently. Names like Maa/Mummy, Papa, Dadu and names of your pet or baby’s toys etc are something baby will recognize easily. He will look at you and pass a generous pink gummy smile at the sound of these familiar names. Acknowledge and reward him with hugs and kisses to encourage him more. Another cognitive achievement of the baby is its response to the command ‘No’. Your baby will be also able to identify the difference in the pitch of your voice and will be able to understand the meaning of certain words. Use a firm voice to tell him what he is not supposed to and he will listen and act accordingly. Along with being reactive to voices and being able to recognize faces, the baby will also start developing his language skills. He will babble chains of consonants and make sweet gabbling sounds. Comprehending them will be a little difficult but try and encourage your baby to make more of them and slowly introduce him with more words. This way "mah" will eventually mean mumma and "dah" will mean daddy. Your baby’s muscles are strengthening every passing day and he is becoming physically stronger. By the fourth month you will be able to see visible changes in him. Like he was able to lift his upper body up with the help of his hands, now he will be able to sit on his own with the support of his hands. He will put his hands to the front of his body and sit in the tripod position. Encircle him with pillows for support and help him develop his strength. The baby will also develop the grip of his hands. He will use his raking grasp to pull objects closer to him. Try teasing him with his favourite toy or soft cushiony bed sheets. He will reach for the toy and try to pick them up and pull them closer.